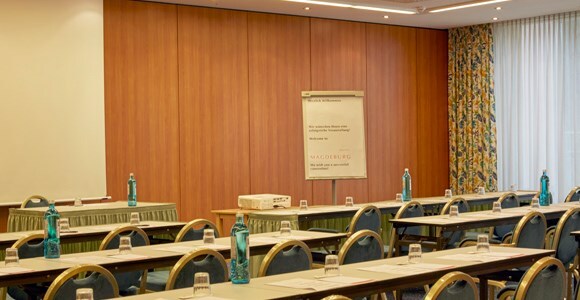 The Michel Hotel Magdeburg has a passable congress center with 8 different sized conference rooms on the ground floor. 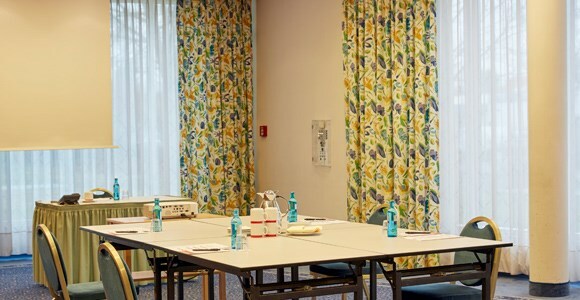 A round hall on the fourth floor and the spacious conference foyer can also be used for events and celebrations. 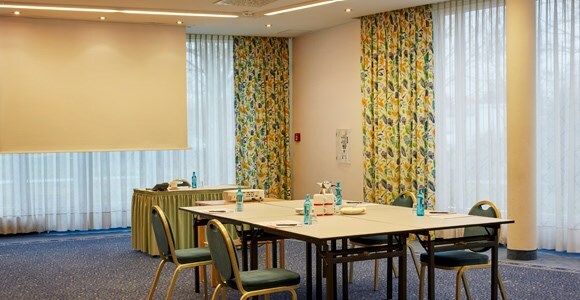 The Michel Hotel Magdeburg has a 500 square meter, fully-accessible congress center. 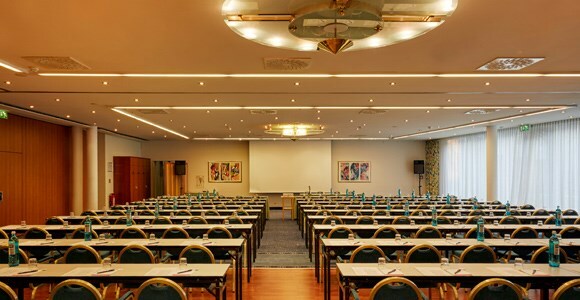 8 differently sized conference rooms on the ground floor, a round hall on the fourth floor and the spacious conference foyer with integrated light spots provide the perfect setting for events of all kinds - from seminars or congresses to receptions and exhibitions to private celebrations. 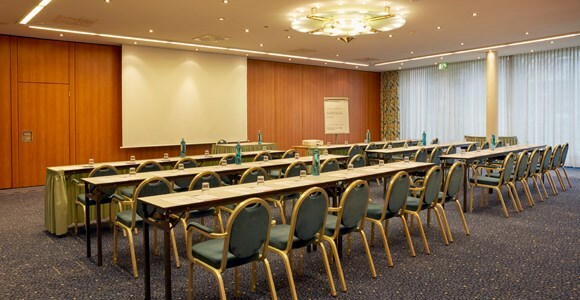 The conference support of the hotel includes break stations in front of each meeting room as well as the copy and fax service at the reception. 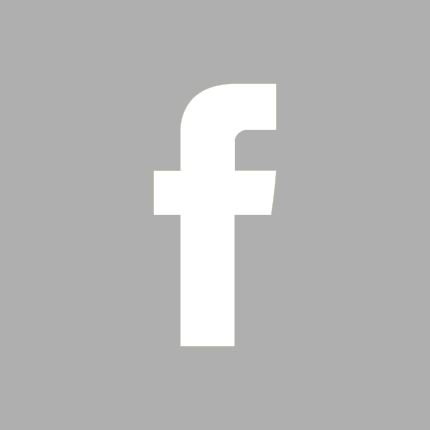 If you have not already agreed this with the team in advance, you can also have front-line programs or leisure activities for your guests or conference participants planned and booked. On request, we can also take over the complete catering for your event together with your catering partner. In the hotel itself, but also if you are planning an event in a different location, everything from private parties to official banquets can be realized. 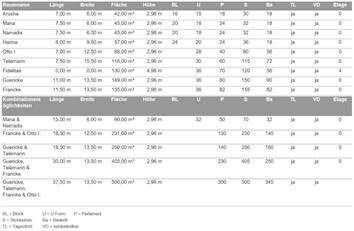 The range of services includes equipment, technology and crockery as well as food and drinks, decoration and staff, as well as the DJ or planning the supporting program. 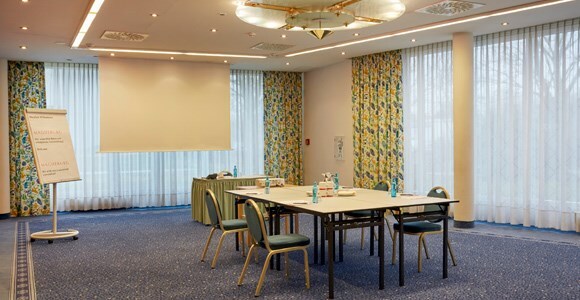 The 9 air-conditioned conference rooms all have naturally daylight, can be darkened and are equipped with infinitely adjustable lighting. Sound-insulated walls, variable partition walls and modern presentation technology with integrated screens enable effective working. 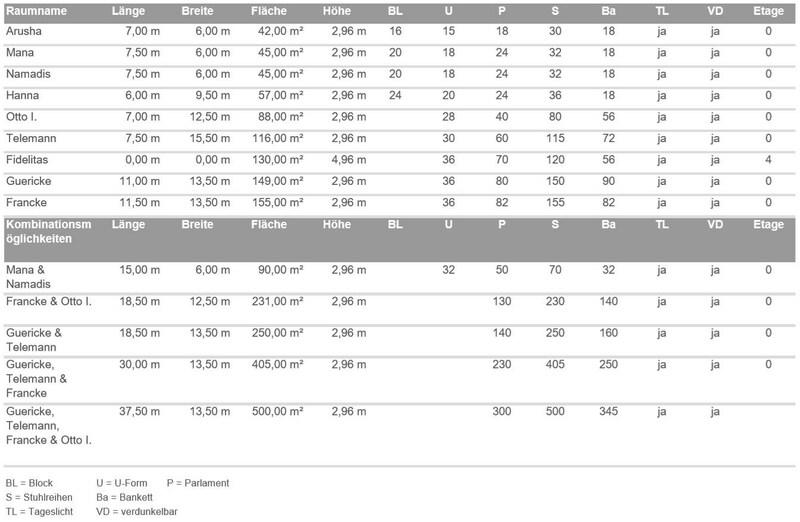 Sockets in the floor tank, DSL or WIFI are available of course. 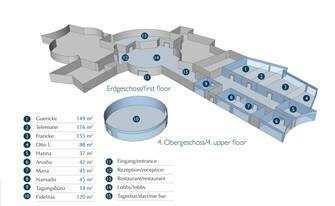 The rooms on the ground floor are located on the same floor as the lobby, restaurant and bar and are all accessible by car. 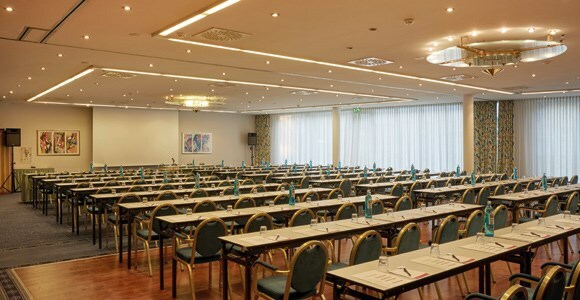 In addition, the spacious conference foyer with integrated lighting spots is well suited for exhibitions or receptions. The foyer is also equipped with power and power connections in floor tanks. In addition there is the 120 square meter hall "Fidelias" on the fourth floor. Equipped with panoramic windows and almost five meters ceiling height, the "Fidelias" room offers a stylish ambience for banquets.